Six billion identical clones make up the entire population of Earth, and William 790-6 (57th Iteration) is exactly like everybody else. In his one year of life he will toil in suburban mediocrity and spend as much cash as possible in order to please his corporate masters. When 790’s first birthday (and scheduled execution) finally rolls around, a freak accident spares his life. 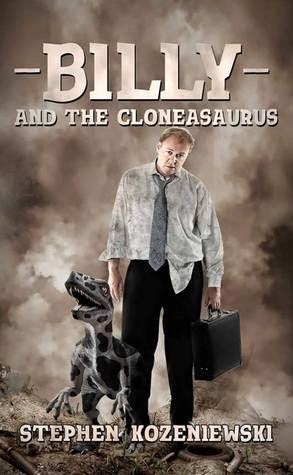 Dark, haunting, and blisteringly satirical, BILLY AND THE CLONEASAURUS is the story of one “man’s” attempt to finally become an individual in a world of copies. >In the world of William 790-6, clones live their life full of purpose for an entire year. They do their assigned job and make sure they fulfill their duty as a consumer. Then, on their first and only birthday, they step into the slurry machine to be replaced with the next iteration of their model. When an accident keeps our William from being slurried, he becomes the first clone to ever lives past a year. As he begins to notice oddities surrounding him, he goes on a quest to figure out his purpose and the purpose of the world around him. His journey leads him to a windmill between towns, where he finds a rebel character who shows him the path to the enlightenment he so seeks. But,will William be able to make the transition into freedom? Or will he choose the safe path he's always trod? The other possibility, and the most likely, is that William will do what he was designed to do....step into the slurry machine and end his existence like a good little clone. This is the third book by Stephen and I have to tell you, the second I was asked to review it, it wasn't even a question of when I would get to it, but how soon I could get my little eyes at those precious words. Everything that he's written has been amazing to me. He has a natural talent for storytelling, but it goes so much further than that. Every idea he's put into print has been unique and a treasure. And while you're reading, you can't help but wonder why someone hasn't done it before. Then, you realize you're just glad that someone finally did! Billy and the Cloneasaurus follows in the great path that I've noticed Stephen beating down since the beginning of his writing career. It's a fresh idea that will take you by surprise. 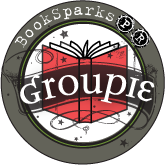 The light and dark in the book are equally balanced and you never seem to know whether you're going to find yourself in the dungeon in the middle of the night, or the middle of a poppy field at noon. Every idea is easy to follow, but the ride is definitely full of twists and turns. This is one of the few books that I was genuinely surprised when the ending came. I was not only caught off guard, but I found myself saying 'NO! NO! NO!' repeatedly for several minutes. And that, dear readers, is the best reaction a writer can get from me. When you can surprise me and shock me, you've done an amazing job. Thank you for taking the time to review my book, Shawn and Wendy!